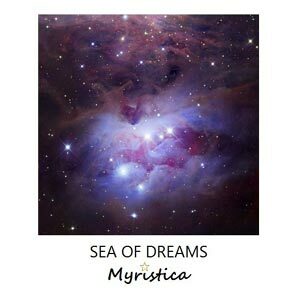 'Sea of Dreams' is the debut album from Myristica. Written over 12 months, this 16-track album is regarded by Myristica as an audio diary of one of the most challenging years of her life. Music composed from deep within the depths of her heart and soul, this beautiful assortment of lightly orchestrated instrumentals will take you on a journey between worlds. Chill out to 'Future Calm', unwind to 'Drifting', star-gaze to 'Counting Stars' and waltz in front of the fire-side to the enchanting 'Beyond the glow', 'Entwined' and 'December Waltz'.